News Flash: Click here to read about our new team members! Tony did work for us ... & now, we wouldn't use anyone else. He solved a lot of our problems. His work is first rate, he's very knowledgeable, he's tidy & he explains clearly what needs doing ... and he's also a very nice guy. We would not hesitate to recommend his company. 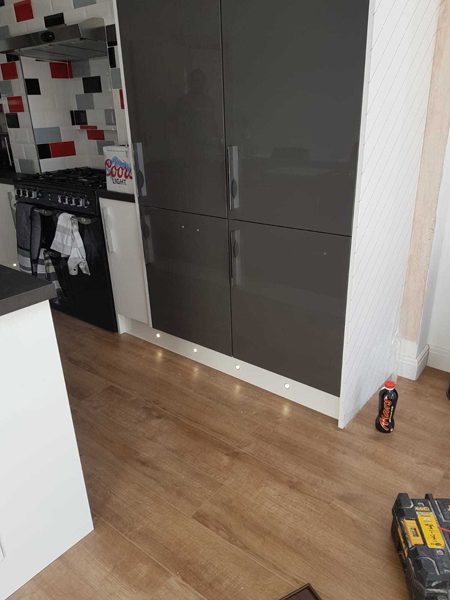 We specialise in installing and refurbishing kitchens and bathrooms. 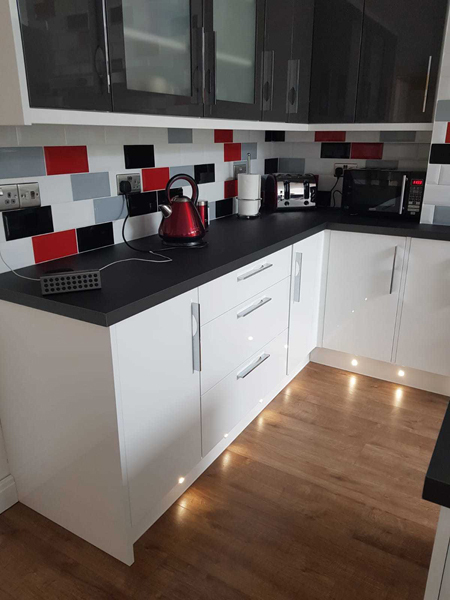 We do everything from design, sourcing and supply, plumbing, electrics, gas works, tiling, flooring, decorating, plastering, carpentry and building alteration. 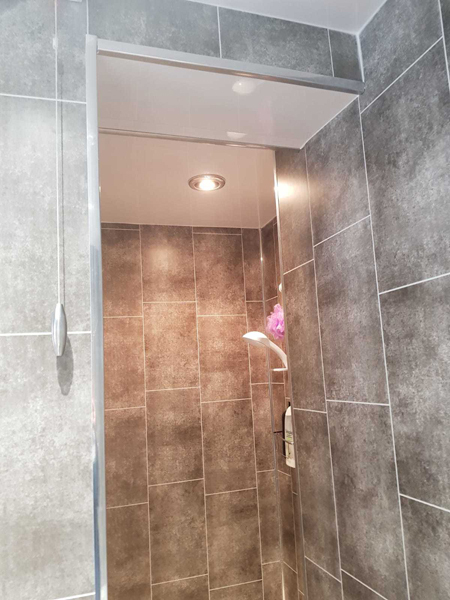 With our bespoke bathroom and kitchen installation service, we work closely with you from start to finish, to deliver your project on time and within agreed budget. 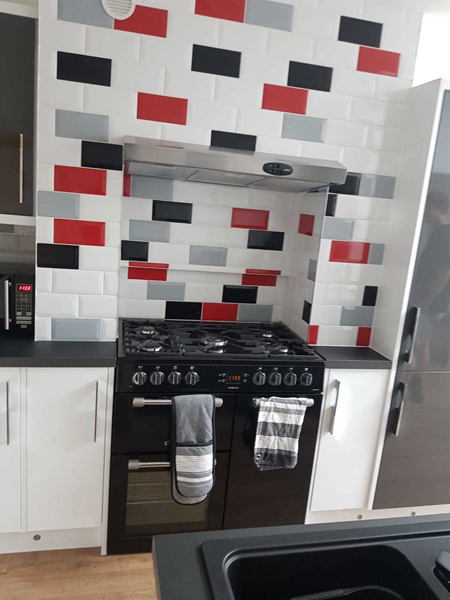 As a respected local business with years of experience as bathroom and kitchen installers, we have built a reputation for providing a truly professional installation and reliable service throughout Charente, Charente-Maritime, Dordogne, Deux-Sevres, Vendee, Vienne and Haute-Vienne. Our business has and continues to be built on experience, knowledge and client recommendations. Bathroom and shower fitters. Complete installation service by qualified and experienced plumbers. Ceramic and stone tiles can make an attractive floor covering in your kitchen, bathroom, hallway or conservatory. 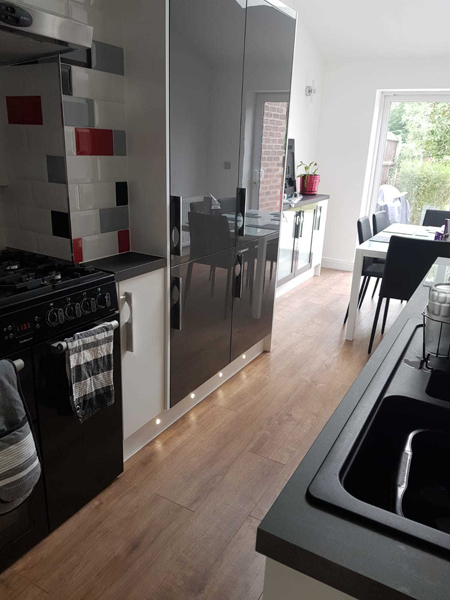 We design, supply and install a beautiful kitchen that is both stylish and practical. Refurbishing your kitchen doors is a fantastic hassle-free in-expensive alternative to a brand new kitchen.